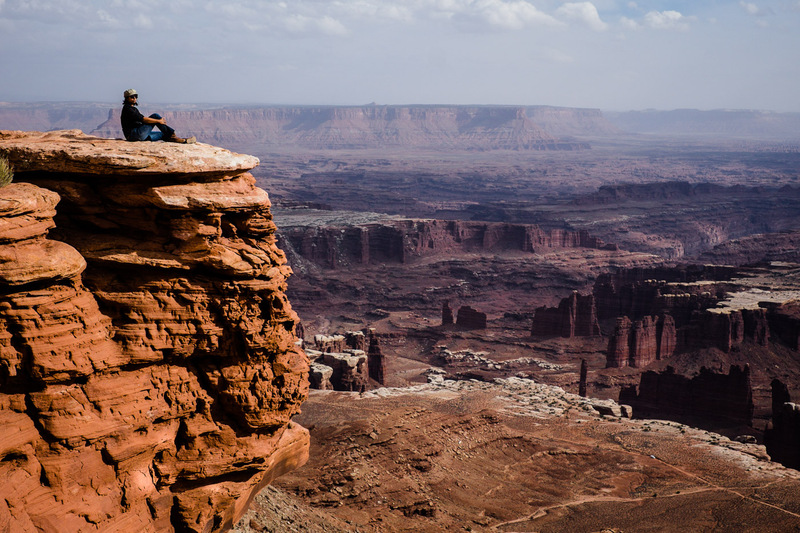 Canyonlands, Utah. The Southwest of the US is possibly my favourite area on the planet. On day one of a week long celebration of her birthday, Charlene contemplates the scale of the majestic canyons. They feel science fictional to urbanized eyes. Getting to the edge of this outhanging rock took crawling on the ground. The wind is fierce today. This is not a place for falling over. It is a place for loosing oneself in the open sky and the vast view. A place to feel the impact of nature. A place to visit in dreams until we can return.